This entry was posted on Friday, April 7th, 2017 at 4:46 pm. 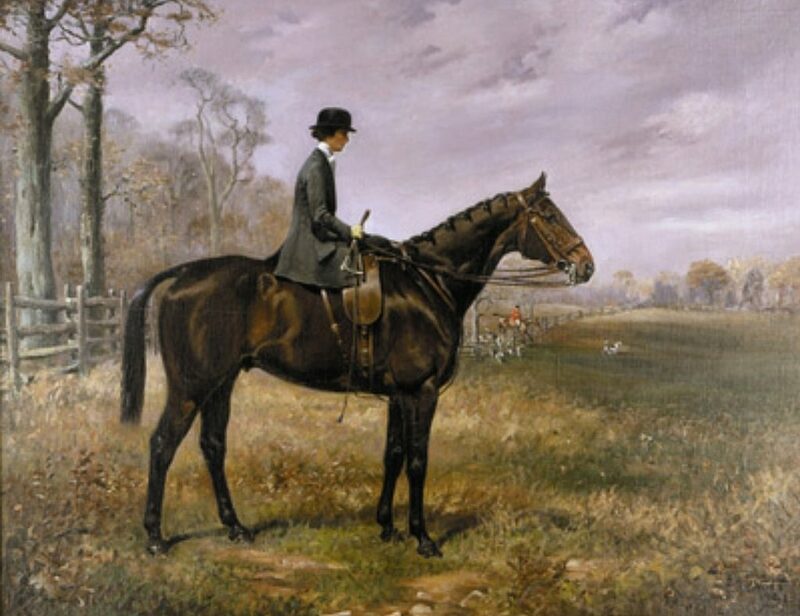 Naturally, I’m drawn to art depicting my most favorite subjects, horses and dogs, and one of the most renowned sporting artists was Franklin Voss. (I mentioned him earlier in this post where I framed a postcard of one of his paintings of Man O’ War). I’m fond of his work for multiple reasons: first, it’s exquisite. Second, his family farm is only a few minutes from my home, so I feel that comradery or kinship you might feel with a neighbor. Third, I have seen quite a bit of his work in person at the National Sporting Library and Museum in Middleburg, Virginia, as well as in his family home, Atlanta Hall, and it’s every bit as outstanding as you’d expect. He captures my beautiful Maryland so well. Franklin Brooke Voss (1880 – 1953) was the leading American equestrian artist of his day. Voss once said that his ancestors had “etched their fondness for things equine firmly into the family pattern.” His family rode with the Rockaway Hunt Club in Long Island until they moved to Maryland in the mid-1800s. At this time, they rode with the newly-established Elkridge-Harford Hunt. It was only natural then that Voss painted what he was most passionate about – the sporting life. He began studying art in 1897 at the Art Students League, and in September of 1906, his letters record his earliest known commissions. By 1910, Franklin was listed in the federal census as an artist. In another post, I’ll detail some of his greater known works. 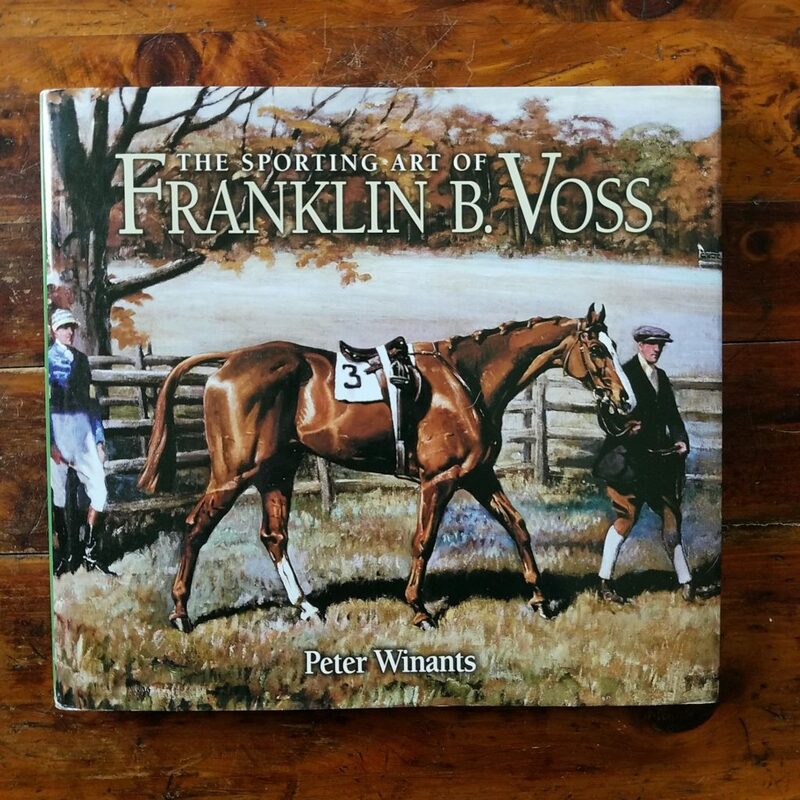 In the meantime, I’ll be diving into The Sporting Art of Franklin B. Voss, by Peter Winants. I’ve seen this book on both ebay and Amazon for well over $100. I waited (for close to a year!) for the price to drop, and bought it on Amazon Prime for $23! Also below is “Mrs. William C. Langley on Sandown,” oil on canvas, 1921.